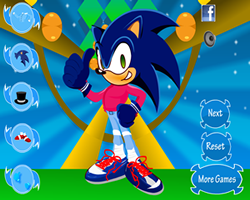 Description: Play as Sonic in Mario World. Can you defeat the evil Mario or will you be stuck there forever? Instruction: Use arrow keys to move and A to spin.